Bonza Answers, Cheats, Solution for Daily Puzzles From December 2014 All Levels with screenshots and solver the crossword for you, you won’t stuck in these levels any more. 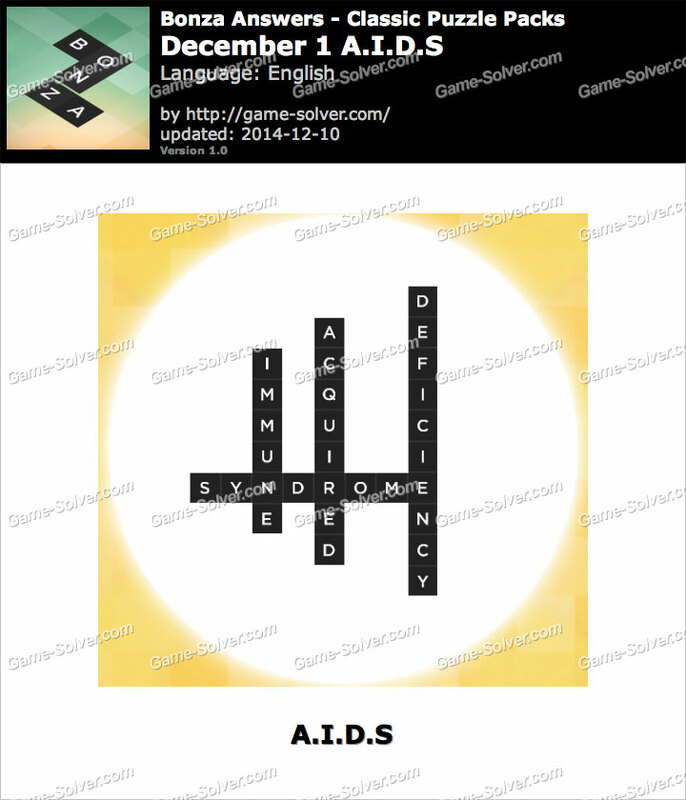 This is the answer for Bonza Word Puzzle A.i.d.s with screenshots to help you solve the stuck level on this game. 8: Bonza December 8 Languages Of The U.N.
22: Bonza December 22 Ah-Choo! 26: Bonza December 26 Set Sail!